This is the place to add any TAR 22 media, news, articles, or press releases! Please to remember to credit the source by providing the link to the media! We (as in us at RFF) got a shout out on the TV Tonight blog. The Amazing Race (US) maybe on its way to Australia for a leg on the next season. 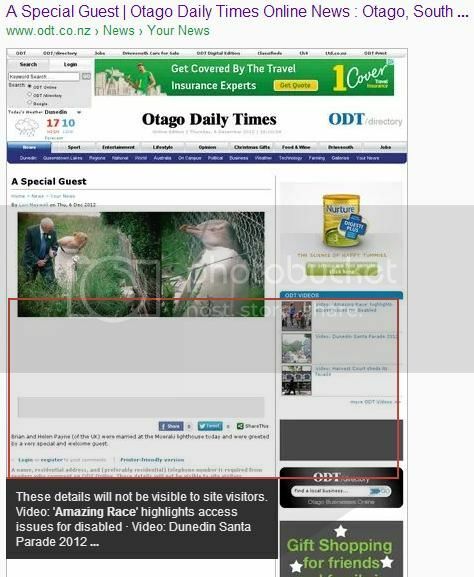 Diehard fans at realityfanforum are reporting contestants racing through New Zealand, with plenty of photographic evidence (warning: spoiler alert). GuardianOnline has also reported a visit to Christchurch, Phil Keoghan’s hometown, hit hard by earthquakes and a tourism downturn. It wouldn’t be the first time TAR has raced through Australia, although so far Melbourne has missed out on a leg. If you spy anything, just raise an eyebrow, Keoghan-like, and pass on any photos to you know where…. Thanks David for the shoutout and keep up the good work. David has been good to us in the past, we normally get a couple of people posting replies after seeing the racers when they come to Australia. The biggest was the Cuba spoiler for TAR Aus Season 2. NVM. NOT US. An "Amazing Race" to highlight disabled access. I see the vid fine. And Better yet, CBS is reporting it as well! by: I live in a Tv series. Probably, the other way around. Networks work on planning their schedules a year or two in advance; which is why live events (awards shows, concerts, sports events) have their dates planned out a couple of years or more in advance as much as possible. Count back 13 weeks from Mothers Day. What can you tell us about next season? Is the $1 million bonus going to be back? Keoghan: No $1 million bonus for next season. We just wrapped filming this installment and all I can tell you is that I've lost between 10-15 pounds on this edition, and all I want for Christmas is a bed and a long nap! I hope they come back for the upcoming season..
Ford is creating a real-time interactive event called Focus Rally: America to help introduce the 2012 Ford Focus compact car. The Focus Rally: America is a competition that puts 6 two-person teams against one another in a 5 event, cross-country rally in the Ford Focus. Each event will feature a challenge for the teams to complete and the winning team will be awarded with $100,000 and 10 Focuses for their fans and supporters. This competition sounds quite close to the reality show “The Amazing Race” because it is being produced by Ford in conjunction with the reality shows creators, Elise Doganieri and Bertam van Munster. The 5 events will be streamed on Hulu, an online hub for TV shows and movies. Short clips of the events will also be shown on YouTube, Facebook and Twitter to help spread the adventure. The challenges are designed so that the teams can be guided by their social network. The 6 teams will use Ford’s Sync system to stay in contact with their network of friends. The car’s GPS function will also come into play. Ford hopes that many thousands of consumers will become engaged by watching the show on Hulu, becoming fans and followers of the rally teams on Facebook and actively participating in the various challenges. Should be fun! The casting was ...aggressive! Are you sure it's a new season? Here's the same text from the same dealership in Sep 2011--they're just reprinting their old stuff. And the focusrally website is down; the last capture for the wayback machine was May 2011. You can watch video clips on Hulu. Oopsie....oh well, we'll all have something fun to do between now and 2/17!! Did anyone watch this? And this needs a thread.... hmmm. We have our first logo teaser guys!! I like it though, it's avocado..yumm.. Sitcom star Lisa Whelchel and former baseball MVP Jeff Kent may not be appearing, but The Amazing Race will trot out a few semi-celebrities of its own when the 22nd season of the reality hit premieres Feb. 17 on CBS. And the teams will have a new twist to contend with at the very start. They also will have a new twist thrown at them. While in the past the first team to arrive at the initial Pit Stop has earned an Express Pass that allows them to skip any task of their choosing, the team that arrives before all others at this season’s first Pit Stop will receive two Express Passes — one to keep for themselves and another one that must be given to another team of their choosing before the end of the fourth leg. It has the power of making one other team very happy, and several others unhappy over not receiving it. Here’s the full cast of season 22 of ‘The Amazing Race.’ Also make sure to check out our photo gallery of all the teams. And for more reality ramblings, follow me on Twitter @DaltonRoss. A familiar face to many hockey fans is about to embark on a whole new kind of competition. In an announcement made Wednesday morning, it was revealed that longtime NHL player Bates Battaglia will be competing alongside his brother, Anthony, in the next season of CBS' award-winning show "The Amazing Race." The Battaglia brothers will make up one of 11 teams engaging in an around-the-world chase in which the winner will earn $1 million. The elder Battaglia brother, Bates played 580 games in the NHL, most of them with the Carolina Hurricanes, whom he helped lead to the 2002 Stanley Cup Final where they lost to the Detroit Red Wings. His younger brother, Anthony, played collegiately at Western Michigan University before suiting up for a number of minor-league teams, including a stint this season with the Huntsville Havoc of the Southern Professional Hockey League. This won't be the first time the Battaglia brothers compete on a team together. The pair spent part of the 2010-11 season playing together on the Tulsa Oilers of the Central Hockey League. Prior to that, they were teammates in 2004-05 with the Mississippi Sea Wolves of the East Coast Hockey League. Over the course of the show's history, a variety of pro athletes have competed on "The Amazing Race." Former NFL players Ken Green and Marcus Pollard competed on the show in 2008 and 2011 respectively. Soccer player Andrew Weber appeared on the program last year, while former Cleveland Indians coach Steve Smith competed in 2010. Pro bullriding brothers Cord and Jet McCoy placed second on the show in 2010 and Harlem Globetrotter teammates Herbert "Flight Time" Lang and Nathaniel "Big Easy" Lofton finished fourth in 2009. 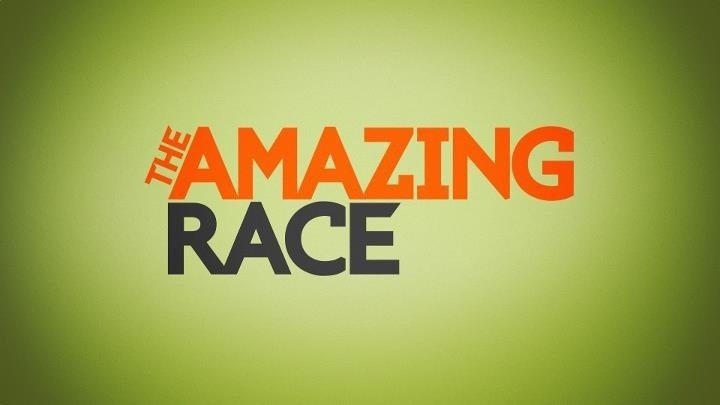 The 22nd season of "The Amazing Race" premieres on Sunday, Feb. 17 at 8 p.m. ET on CBS. My guess turns out to be real. That's because you are awesome...and have superpowers!! The new season of The Amazing Race begins Sunday, February 17 at 8pm on CBS, and as always, its tense, exciting, visually stunning and full of colorful characters. Season 22 brings a new twist, new locations and new adventures. Here are seven things about the first leg to get you excited for the show's return. The twist for season 22 is that the winners of the first leg not only get an Express Pass, but they get a second Express Pass that they must give to another team at some point before the end of the fourth leg. There's a lot of thought and strategy regarding this twist that will almost certainly end in drama, especially because of an early alliance. The cruelest Roadblock in the history of the show is the one where contestants had to unravel massive haystacks to find a clue. The season 22 premiere features something similar where teams must dig through 400 sandcastles to find a clue. The twist? If it doesn't contain one, they must rebuild the sandcastle before moving on. As is always the case, there's plenty of schadenfreude as some teams look for hours while others show up and quickly find it. There's no denying the star power of Chuck's hair. It's like Kenny Powers, a perm mullet that is utterly ridiculous, especially on a grown man who loves to hunt and practice taxidermy so he can remind himself of his many kills. 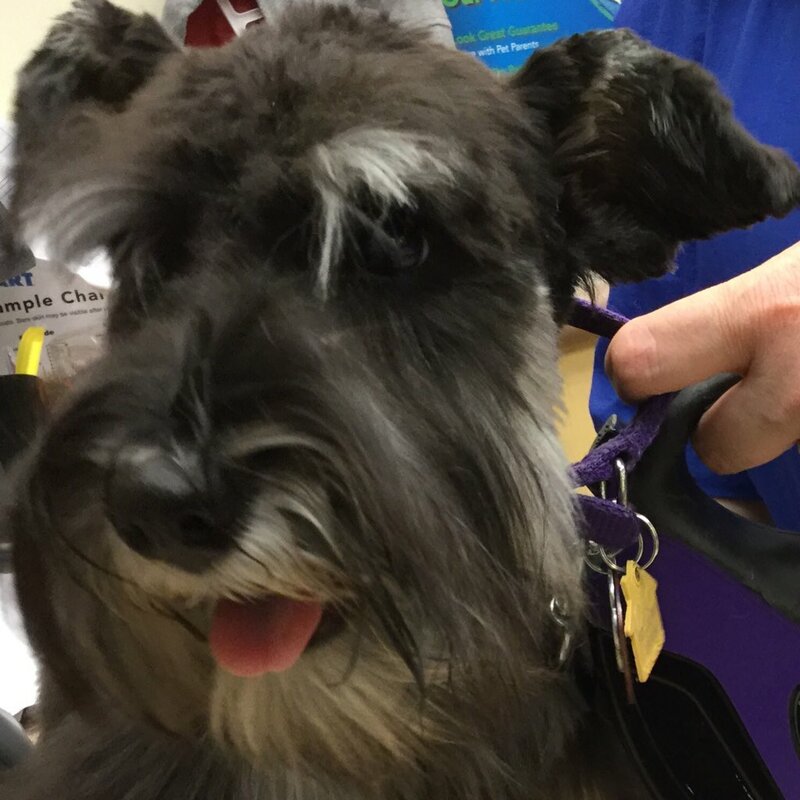 With any other haircut that might be creepy, but with Chuck it's kind of hilarious. Katie: "In our everyday life, we don't have many friends. I don't care." Max: "Her likeability factor is low when it comes to strangers." Katie: "It's probably a zero." That kind of self-awareness actually makes me like them. Joey is a YouTube star, because apparently we live in a world where that is considered a career. He's very bubbly. At one point he's being his typical "Hey everybody, look at me!" self and one of the twin OB-GYNs simply mutters under his breath "Stop talking." I agree. If Joey and Meghan last the whole Race, he will become unbearable. Heck, if he lasts more than two legs, he will be unbearable. Dave and Connor are a father and son who are both cancer survivors, and son Connor is a professional cyclist whose testicular cancer is in remission. Has anyone done a study on a correlation between cancer and riding a bike? All jokes aside, they are a very inspiring pair, although if every single interview with them is going to be all about how inspirational they are, it could get old very fast. In terms of pure likeability, no one comes close to former professional hockey brothers Bates and Anthony. They're charming in that dopey, loveable kind of way that makes you immediately want them to succeed. Episode Two Title is up!